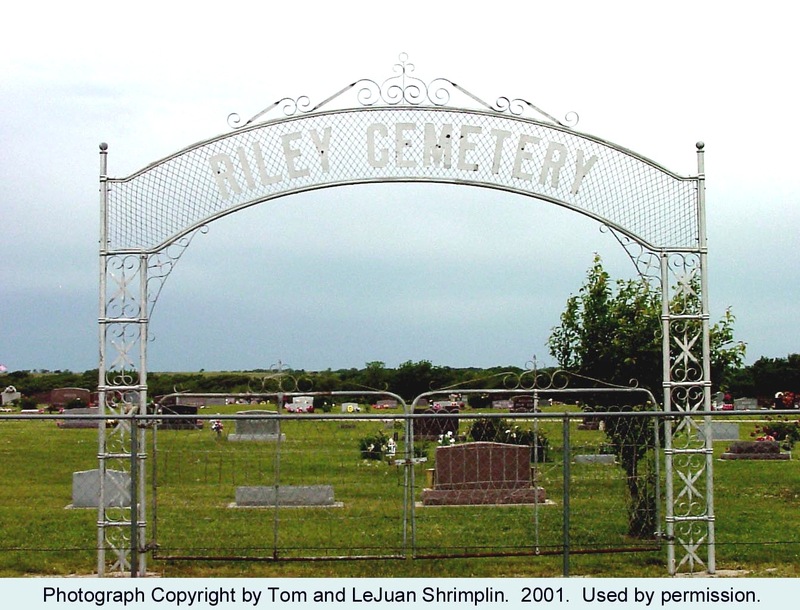 Historical Note: Earliest burial appears to be that of Elizabeth, wife of J. E. Hair, one of the first settlers in Riley, arriving in 1855. Mrs. Hair died in 1861 (? ), age 70. Also in this cemetery is a tombstone of limestone with the inscription, “Emma Hemmingway, died September 7, 1866, age 23.” Many old timers recall walking up the hill from school to look and wonder about the husband who toiled for months to carve by hand this impressive memorial to his young wife. Directions: In Riley, at the intersection of Madison Road and Falcon Road, go east on Madison Road, Highways 24 and 77, to Union Road. Turn left (south) and go about one mile. The cemetery is on the right (west) side of the road.